Pollination is a necessary step in the reproduction of many plants. As pollinators visit flowers to drink nectar or feed on pollen, they transfer pollen between flowers, allowing those flowers to be fertilized. That in turn enables them to produce fruits and seeds, from which the next generation of plants can grow. Pollinators come in all shapes and sizes, from butterflies to beetles, birds, bats and even humans. Bees are some of the most important crop pollinators and increase production by about 75 percent of the crop species. Across North America alone, there are more than 4,000 wild bee species. A study by National Science Foundation (NSF)-funded researcher Rachael Winfree and a team at Rutgers University conducted across dozens of watermelon, cranberry and blueberry farms in the mid-Atlantic U.S. revealed just how important pollinator biodiversity is for crops. Although many farmers use domesticated, non-native honeybee colonies to help with crop pollination, researchers estimate that wild pollinators provide half of the crop pollination services worldwide. Winfree's team found that although a few dominant species are critical at smaller scales, when an entire region is considered, a high level of biodiversity is needed to ensure farmers' crops receive adequate pollination services. While on any one farm during their study, the team found that five or six wild bee species were able to provide half of the pollination. Most of the 100 bee species observed in the study were needed to meet that same threshold across the nearly 50 farms in the region. Another study by James Hung, who received NSF funding as a doctoral student and who worked in David Holway's lab at the University of California, San Diego, found that biodiversity isn't just for "country" bees on farms. Hung investigated the effects of urbanization on changes in wild bee diversity over time and found that man-made disturbances to habitats are creating problems for pollinator communities, including significant biodiversity loss. Hung found that habitat fragmentation due to human activity reduces bee diversity and creates a shift in natural seasonal changes that influences the number and type of bees present, affecting pollination services. Though the total number of bees was similar, that number peaked later in the year in fragmented habitats compared to undisturbed ones. 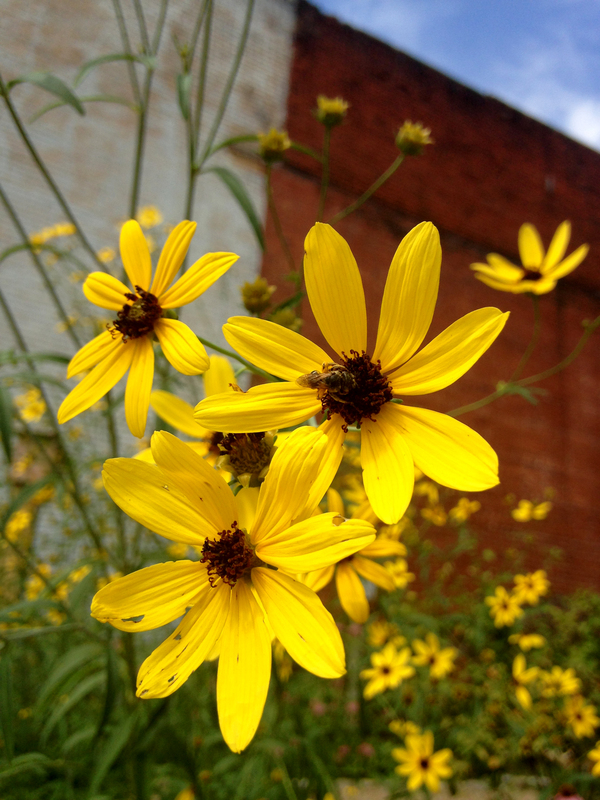 Hung also found that bees living in urban scrub fragments possess relatively less variation in behaviors and physical characteristics (for example, food preferences), meaning they might not be able to render the range and quality of pollination services that bee communities in undisturbed habitats can provide. The loss of diversity and changes to seasonal turnover of bee species may threaten plant pollination in the community and potentially even crops that rely on wild bee species for pollination. Farmers can help protect biodiversity by planting fallow fields and road edges with flowering plants to support wild pollinators throughout the growing season and by reducing pesticide use, especially during crop bloom, when more bees are in their fields. 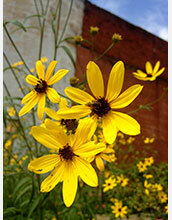 Citizens can help by planting diverse, native plant species and limiting pesticides. This paper rose in part from research ideas developed by Anna Johnson, while funded under an NSF postdoctoral fellowship to investigate how disturbances alter plant-pollinator interactions, as well as contributions by Tia-Lynn Ashman and graduate student Andrea Fetters, funded on an NSF grant exploring how post-pollination interactions structure co-flowering plant communities. This research was supported by NSF grants DEB 14-52386 and DBI 15-23771.